Medicare is the Federal health insurance program covering eligible persons age 65 or older, and those under 65 with certain disabilities. Medicare is, however, not comprehensive. Medicare pays for less than half of what it costs a typical senior for health care. Medicare will not pay for things like deductibles, coinsurance, hearing aids, eyeglasses, prescription drugs, or long term care. That is why there are other Medicare health plans available, such as Medicare Supplement health insurance (Medigap). Medicare Advantage, and Part D (prescription drug coverage). We have written step-by-step guides to help clarify the often complicated landscape of Medicare and Medigap. Those guidelines are provided under the links to the left and are also described below. STEP 1: Understand Original Medicare. You want to know what Original Medicare covers, doesn’t cover, and its limitations of coverage before you decide which Medicare insurance might be right for you. Click here to see the 2015 Guide to Medicare costs and here to read what Medicare doesn’t cover. 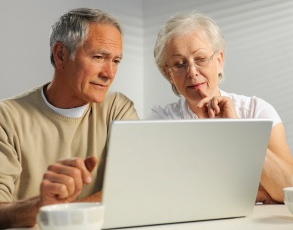 STEP 2: Learn the difference between Medicare Advantage and Medigap. While MA plans have $0 to low monthly premiums,and added perks like drug coverage, dental and vision, they limit their network of doctors and hospitals and cover things differently than Original Medicare. Whereas, Medigap plans do not cover prescription drugs and generally have higher monthly premiums, however they can cover all out of pocket Original Medicare costs while keeping Medicare’s nationwide network, and offering extras like 365 additional hospital days and foreign emergency healthcare. Once you become familiar with the benefits offered under by MA and Medigap plans, you should seriously consider which are most important to you. This will prepare you for step 3. STEP 3: Learn whether or not you need a stand-alone drug plan. If you go with a Medicare Advantage plan, more than likely, you will not need to enroll in a stand-alone drug plan. However, if you stay with Original Medicare and/or enroll in Medigap, you’ll want to consider a stand-alone prescription drug plan. STEP 4: It’s time to get some Medicare Insurance quotes. Simply enter your zip code in the box near the top of the page, then click the “next step” button at the bottom. You can enter your contact information as well, but that info is optional. If you would prefer to have personalized help at any time, feel free to visit our Senior65.com site dedicated to seniors or contact one of the licensed agents who are ready to assist you at 800-930-7956.